Nowhere are man’s best friends more celebrated than the Napa Valley. 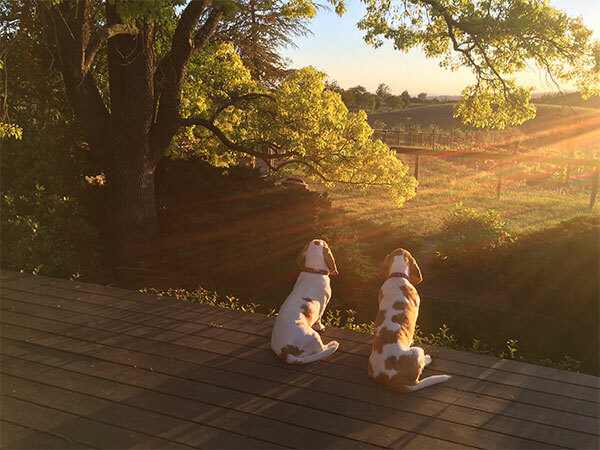 The valley showcases its generous pet-friendly hospitality, as many of the valley’s wineries, restaurants, and lodging establishments provide extra special treats for four legged friends. Thirsty? Dogs are a big part of a vintner’s life, and are welcome at more than 100 of the Napa Valley's finest wineries. Hungry? Many of the valley's restaurants with al fresco areas allow you to pamper your pet while dining in style. Visiting? Fear not, as several of the valley's most luxurious hotels and resorts also welcome pets. So, gather your canine pals and make plans in the Napa Valley for the ultimate in people and pet pampering.